We still have a few places available on our next City & Guilds 3667 Unit 4 Internal Copper Datacoms course, running for 4 days from 5-8 March 2018 at Lucid Training Centre in the North. This course covers all aspects of Ethernet, Cat 5,6, 7 and upcoming 8, voice, and standards for structured cabling. The C&G 3667 Unit 4 gives a formal certificate from a UK licensed awarding body, and it is generic so covers all brands of equipment, unlike the various manufacturer’s own courses available. If you are unable to make the 5-9 March or prefer to take the course near London, we also have a 3667 Unit 4 Copper Data running in Crawley from 19-22 March. We have another job for a Lucid trained splicer. If you trained in fibre optics with us and are considering your next contract, then the client who recently asked us to find a couple of our trainees to work for them on 6 and 12 month contracts has said they now have a third contract position available. I’m afraid we can’t help you if you are not one of our trainees. The client has asked for people trained by us because as our contact put it “I know how good your training is”, and we can’t vouch for others. More information available on request, or send me a CV to forward on to the client. 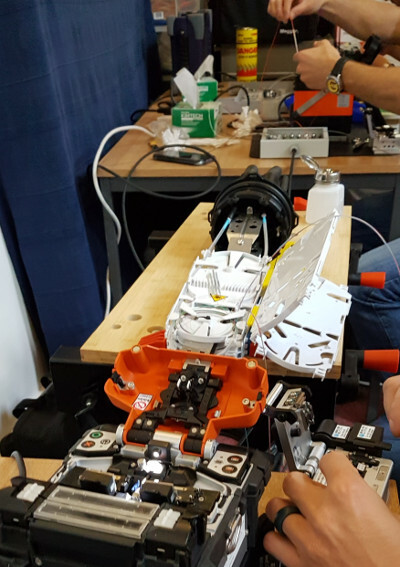 This is Lucid’s original full 5-day advanced testing course, run by John Colton, our technical director who is an acknowledged world expert on advanced testing of fibre networks, and wrote the first OTDR and PMD courses in the industry 20 years ago. 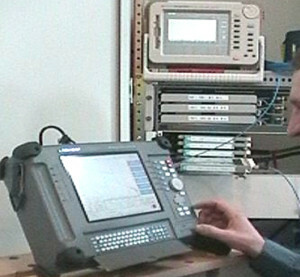 The course is modular, starting with the “Advanced OTDR Testing” module over the first 3 days, followed by the “Advanced PMD and CD Testing” module over the last two days – either module can be taken separately as well if preferred. Due to corporate commitments we don’t often get the opportunity to run this as an open course, so please call or email as soon as possible if you’d like to reserve a place. We still have a couple of places left on the advanced fibre course in February. The course consists of three days of AOTDR and two days of CD-PMD. You can do both parts of the course or just one of them. Please contact the office for full details. Before everyone closes down for Christmas just a reminder that we still have a few spaces available on the City & Guilds 3667 fibre training courses in January . Dates are January 8-12 in Crawley and January 15-19 in Cumbria. Please contact us for full details . And Merry Christmas ! We still have a few places available on our next City & Guilds 3667 Unit 4 Internal Copper Datacoms course at Lucid, running for 4 days from 20-23 November. This course covers all aspects of Ethernet, Cat 5,6, 7 and upcoming 8, voice, and standards for structured cabling. A new offshore wind farm has been given the go ahead to be constructed off the east coat of England . 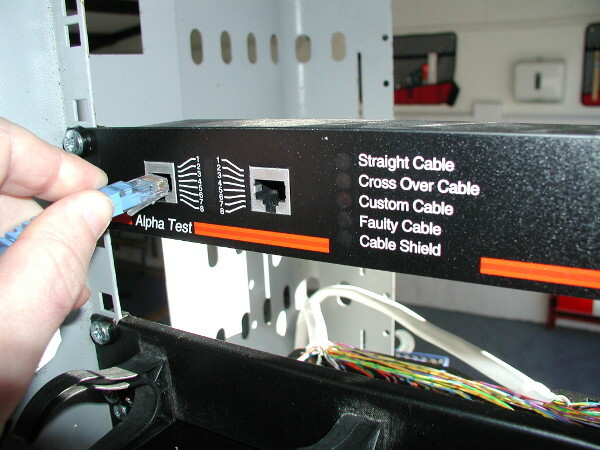 Possibilities for fibre technicians ? Please see the attached post . 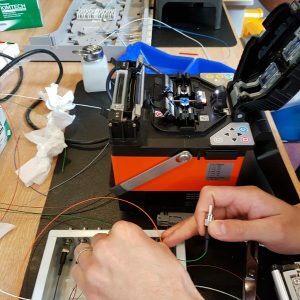 We still have places available on our next City & Guilds 3667 Combined Unit 2 & 3 Fibre course, on 10-14 July at Lucid Training Centre; This is the industry standard qualification in the UK, covering all areas of fibre installation. We only take max 6 trainees per course so call or email now for the latest discounts. Here is another batch of course feedback; this is every single comment we’ve had on the feedback sheets, and they are all excellent! Jun-17 C&G Fibre Steve Really worthwhile course. Well presented and comfortable. May-17 C&G Fibre Alistair Alistair has been excellent at giving information in understandable and relevant chunks. May-17 C&G Fibre Alistair Aistair is extremely knowledeable, polite and helpful. He took the time to explain things in a very clear and concise manner. Thank you very much indeed. May-17 C&G Fibre Alistair Excellent course well run and explained. Will return to attend the copper course . Many thanks. May-17 C&G Fibre Alistair Another well run and excellent course. Covered everything I needed and more. Staff are always helpful and welcoming. May-17 Laser safety John Very intense day full of information but well worth doing. Refreshments and facilities very good. Thank you . Apr-17 Fibre Intro John Very enjoyable and informative. Unfortunately, not all trainees take the time to write a comment – by the end of a course most are rushing to beat the traffic! We have still got places left on our next City & Guilds 3667 Unit 4 Internal Copper Datacoms course at Lucid, running for 4 days from 3-6 July. This course covers all aspects of Ethernet, Cat 5,6, 7 and upcoming 8, voice, and if booking this course you will even get a free 3667 Unit 1 Exam as well, which helps get the ECS card. We still have one place available for the Openawards accredited Advanced OTDR course , 26-28 June . Please contact us for full details. Due to cancellations we now have spaces available on the next City & Guilds 3667 Units 2+3 Internal and external Fibre course in Crawley next week, 22-26 May. Please call the office or email us from the website if you are interested, we can offer a last-minute discount, and the next course in Crawley will be some months off. We still have a couple of places available on the next C&G 3667 internal and external fibre course this month which is in Crawley, very close to Gatwick Airport . Please ring for more details. *BS 7671*”Requirements for Electrical Installations. IET Wiring Regulations”, usually called in the electrical community*The “Regs”*, is the national standard in the United Kingdom for electrical installation and the safety of electrical wiring in domestic, commercial, industrial, and other buildings, also in special installations and locations, such as marinas or caravan parks. If you need this qualification …the City&Guilds 17th Edition , we hold the exam only option here at Lucid on demand , five days each week . The price is £125+VAT . Please ring for details or to book an exam . We now have just one place left next week on our Advanced OTDR course, which is a three day course certified by OpenAwards . Please ring for full details. Here are ALL the comments from delegates who took the time to write on our feedback forms, totally unedited – good and bad! Mar-17 AOTDR John Great course with reliable examples. Large focus on installation which was a little less desireable for cable manufacturing but still useful. Mar-17 AOTDR John Course was very relaxed and informative and I enjoyed it .John was a very good trainer. Mar-17 AOTDR John Excellent course, very well presented. Went way above what I expected. Mar-17 C&G Fibre Alistair Very good course. All staff very friendly and extremely helpful. Mar-17 C&G Fibre Steve Really enjoyed the course. Trainer was very helpful and always happy to help . Great course and will tell people about it . Feb-17 C&G Fibre Alistair Enjoyed the course , very informal. I believe I am in a better position with fibre principles/cabling than I could ever managed on my own in the field. . Alistair has been great . Feb-17 C&G Fibre Alistair Kept it fun and that hepled as a lot of information to take in. Cannot fault it. Feb-17 C&G Fibre Alistair Excellent course . All demonstrations and course work fantastic. Alistair was very knowledgeable and a fantastic tutor . Feb-17 C&G Fibre Alistair Really enjoyed the week. Excellent tutor in Alistair, very knowledgeable. We have a couple of short weeks upon us soon with the bank holidays for Easter . It does mean we are a bit restricted to offer some of the longer courses we run . We have a little time to spare so it is a good time for anyone to do the 17th Edition exam only here , which we hold on demand at a price of £125+VAT. After that we are straight back with another Advanced OTDR course on April 24-26 . Meanwhile we wish everyone a Very Happy Easter. We are getting an increased demand this year for the Advanced OTDR course here at Lucid . We are now running the next course on April 24-26. You are welcome to bring along your own equipment if you wish . Please contact us for details .